The Small Business and Technology Development Center (SBTDC) and the Small Business Center (SBC) at BCC present the 10 Hour General Industry Awareness Course. 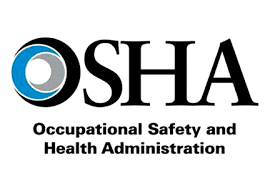 The course is designed to help employees understand OSHA regulatory requirements and also ensure employers and employees understand the requirements necessary in providing an acceptable safety and health program for the workplace. This course will provide a basic overview of the General Industry Safety and Health Standards, 29 CFR 1910. The target audience includes company owners, project managers, supervisors, Safety and Health managers and employees. For this class, you are required to bring the North Carolina Occupational Safety and Health Standards for the General Industry, 29 CFR 1910, (2017 edition or newer). To purchase the book, please call (919)-707-7876 two weeks before the start of the class to ensure timely delivery.